Bostic Sugg is not as good as it seems despite its decent quality furniture coming from several well-known brands. Clients say that prices of goods here are way too high to suit their budgets and the salespersons are pushy enough to make them take a hasty decision. What has made customers unhappy is also the fact that the staff refuses to bargain even a bit. 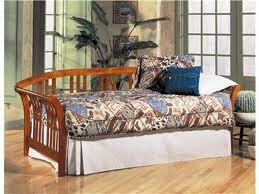 Bostic Sugg Furniture is an old name in the furniture business considering that the store opened as early as in 1937. Since then it has remained a family owned, full service furniture store that caters to myriad home furnishing requirements. What started as a single store in Greenville, NC has today expanded to cover as many as twenty-one cities in North Carolina. Yet, customers seem to be unhappy with Bostic Sugg which shows that those who run this business still have much scope for improvement. Bostic Sugg Furniture- What is making its Customers Unhappy? Bostic Sugg fulfills the furniture needs of nearly every room in the house right from the living room to the home office. Home entertainment sets, mattresses, accessories, lighting and rugs can also be found here. As for the manufacturers it features, the number totals up to thirty-nine and includes some famous brands. Yet, customers find that the furniture designs coming from Bostic Sugg are repetitive which limits their choice with respect to furniture patterns and palettes. The number of brands featured obviously does not have much impact on the customers who are rather looking for variety in furniture construction and composition. A good mixture of classic, contemporary and eclectic furniture pieces would probably draw more buyers to the store. Another reason why customers are unhappy with Bostic Sugg is that its prices are too high. No one is complaining about the overall quality of the furniture, but customers feel that high quality need not always be hand in glove with high prices. What hurts shoppers even more is the fact that salespersons at the showroom simply refuse to bargain even for a cent. So even though the delivery is free, customers are not keen on spending so much on a furniture piece, especially when they know that they can get a similar quality one at much lower rates elsewhere. As for the customer service, most buyers feel that salespersons are friendly enough, but there have been times when this friendliness has gone overboard with the salesperson trying to push the buyer into making a quick purchase. This, clients do not like for they want to take their own sweet time while making a purchase decision. On the face of it, Bostic Sugg Furniture might appear like a good store to buy furniture from, given that it stocks good quality ones from umpteen brands. However, if you take a closer look you will realize that the furniture rates are prohibitive and the staff is pushy enough to push you out of the store!